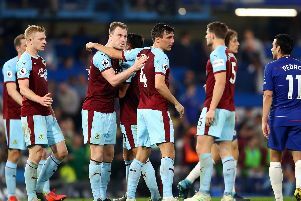 Burnley moved out of Premier League relegation zone with a 2-1 defeat of QPR at Turf Moor, are Clarets fans starting to dream the impossible dream? Sean Dyche continues to work miracles at Turf Moor, and the man affectionately nicknamed “Ginger Mourinho” by the Burnley faithful has been backed into 10/1 (from 25s) to be the Premier League’s LMA Manager of the Year – surely in with a fighting chance should Burnley retain their Premier League status next term? Survival aspirations are put on hold for the time being with Burnley’s FA Cup third round replay with Spurs at White Hart Lane tonight; Mauricio Pochettino’s side the 9/20 favourites with BetVictor, the Clarets 13/2 and the draw 4/1. Burnley are currently 150/1 with BetVictor to be lifting silverware aloft at Wembley in May, and should they produce an upset at the Lane on Wednesday there odds looks sure to tumble, with a home tie with Leicester awaiting in the next round.